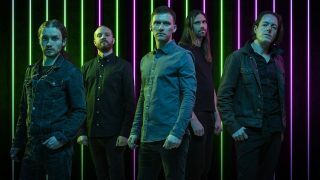 Tesseract have released a video for their track Juno. The song features on the band’s latest album Sonder, which launched back in April via Kscope. The band teamed up with Dark Fable Media for the visually stunning promo, which was filmed in 4K, with vocalist and lyricist Dan Tomkins saying the shoot was a joy to be a part of. He says: “Writing the lyrics for this album was a cathartic experience and I feel that Juno is probably the epitome of Sonder. We wanted to create a video that symbolised the realisation of the constraints that are placed on life. Juno is the embodiment of that feeling. Bassist Amos Williams adds: “Technically, this was intense as we filmed everything at double speed to get a weird fantasy vibe that was still in time when replayed at normal speed. Tesseract will head out on the road from next month, where they’ll be joined by Between The Buried And Me and Plini.